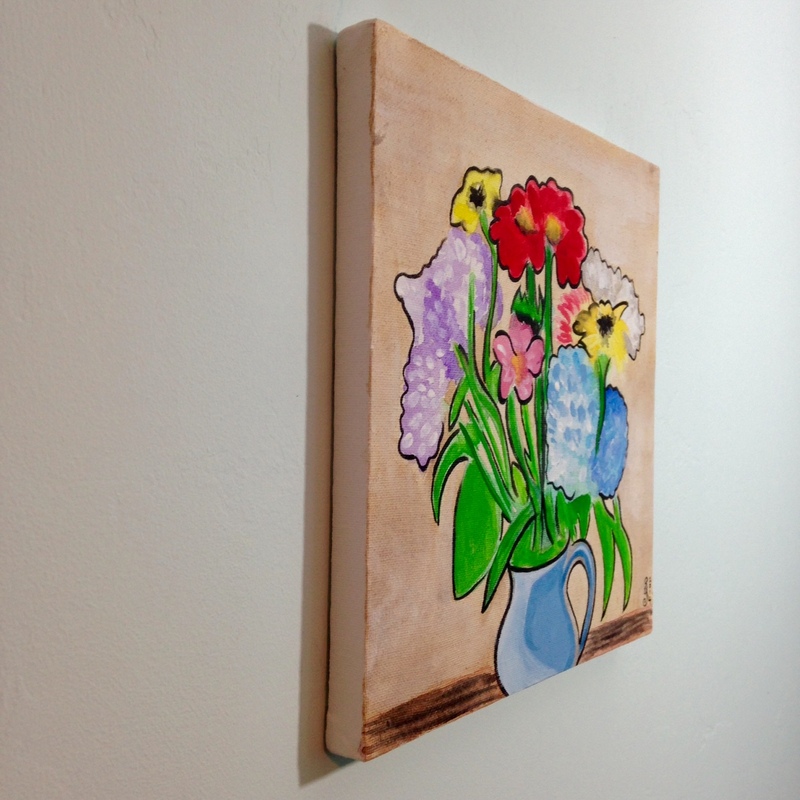 It’s Day 319 and I thought, “Why not paint a vase of flowers?”. 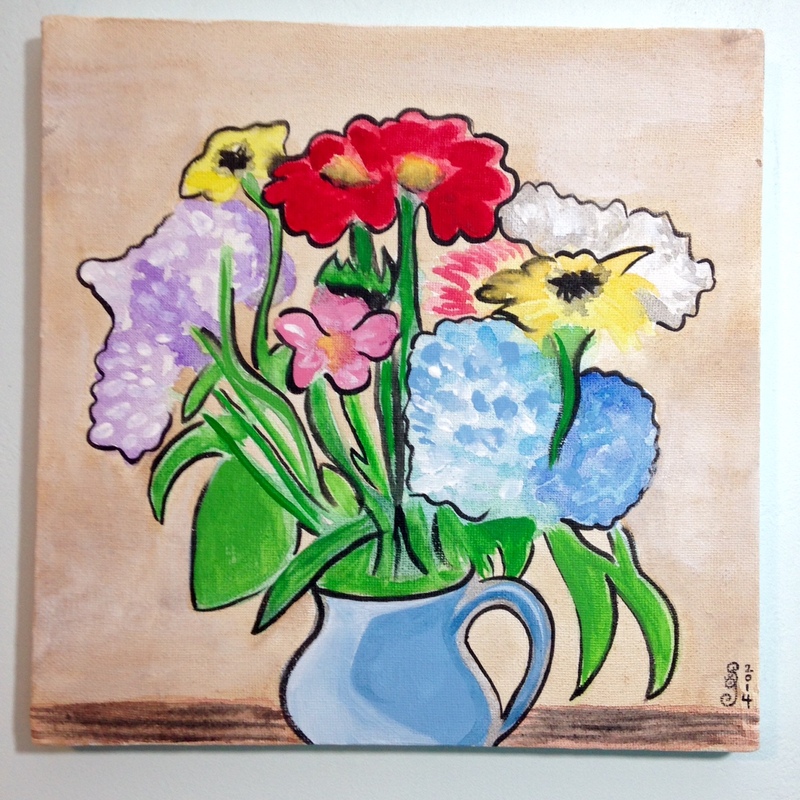 I’m still a little under the weather so it was nice to paint something cheerful. 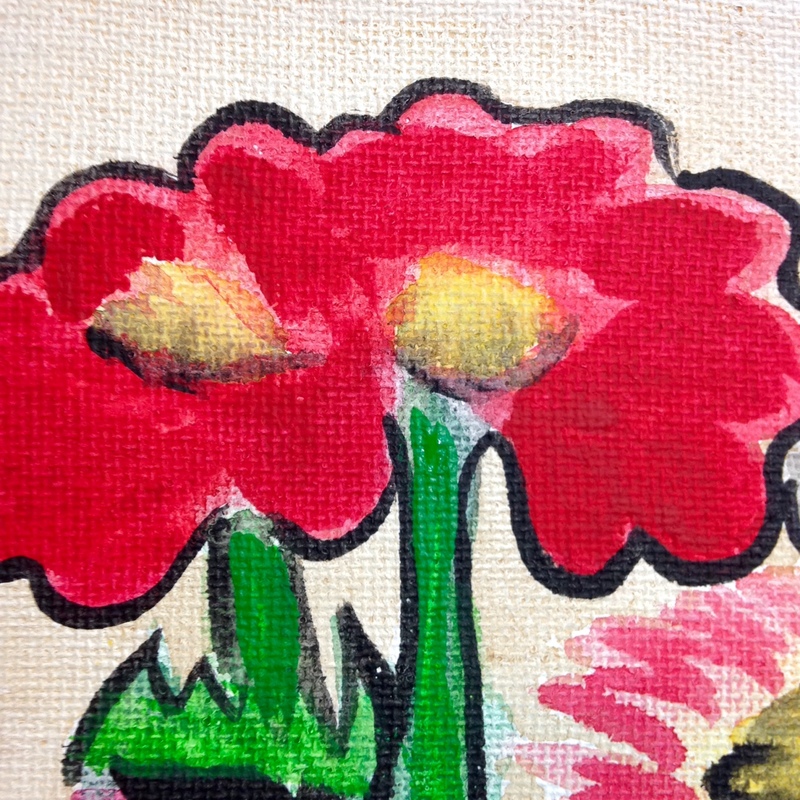 Join me in honoring Raoul Dufy today. 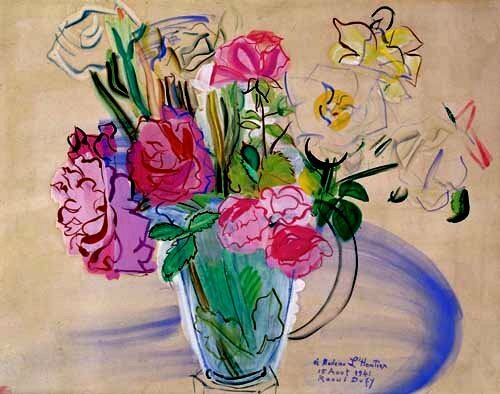 Raoul Dufy (French: [ʁa.ul dy.fi]; 3 June 1877 – 23 March 1953) was a French Fauvist painter. He developed a colorful, decorative style that became fashionable for designs of ceramics and textiles, as well as decorative schemes for public buildings. He is noted for scenes of open-air social events. He was also a draftsman, printmaker, book illustrator, Scenic designer, a designer of furniture, and a planner of public spaces. classes in art at Le Havre’s École d’Art (municipal art school). The classes were taught by Charles Lhuillier, who had been, forty years earlier, a student of the remarkable French portrait-painter, Ingres. 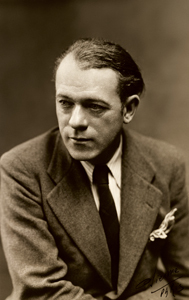 There, Dufy met Raymond Lecourt and Othon Friesz with whom he later shared a studio in Montmartre and to whom he remained a lifelong friend. 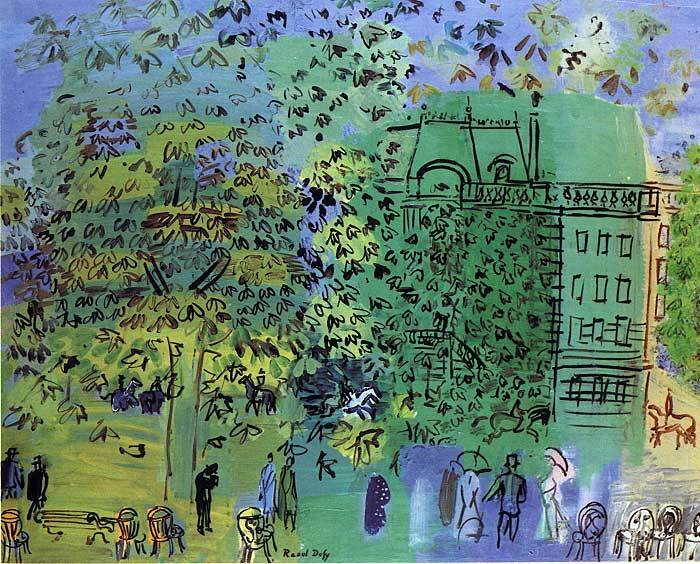 During this period, Dufy painted mostly Norman landscapes in watercolors. In 1900, after a year of military service, Raoul Dufy won a scholarship to the École nationale supérieure des Beaux-Arts in Paris, where again he crossed paths with Othon Friesz. (He was there when Georges Braque also was studying.) He concentrated on improving his drawing skills. 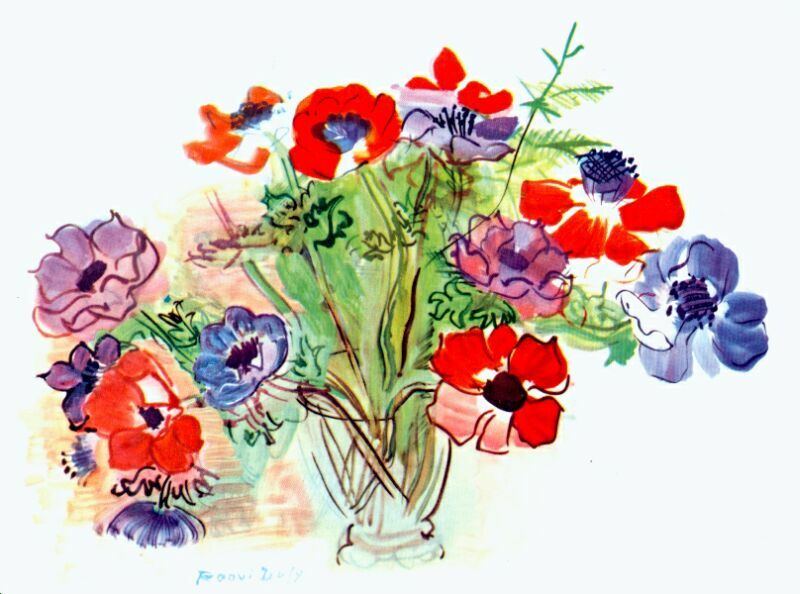 The impressionist landscape painters, such as Claude Monet and Camille Pissarro, influenced Dufy profoundly. famous by Eugène Boudin and Claude Monet. In 1904, with his friend, Albert Marquet, he worked in Fecamp on the English Channel (La Manche). 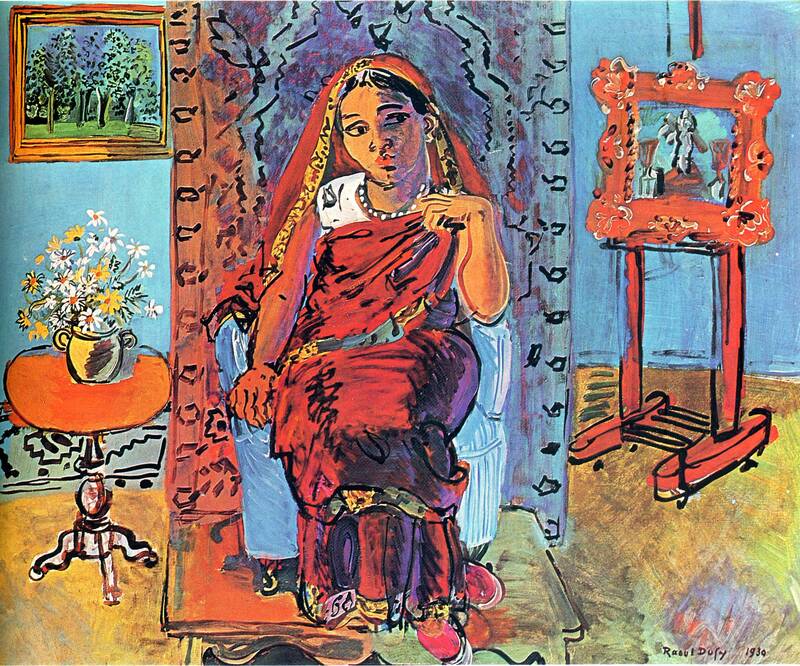 Henri Matisse’s Luxe, Calme et Volupté, which Dufy saw at the Salon des Indépendants in 1905, was a revelation to the young artist, and it directed his interests towards Fauvism. Les Fauves (the wild beasts) emphasized bright color and bold contours in their work. 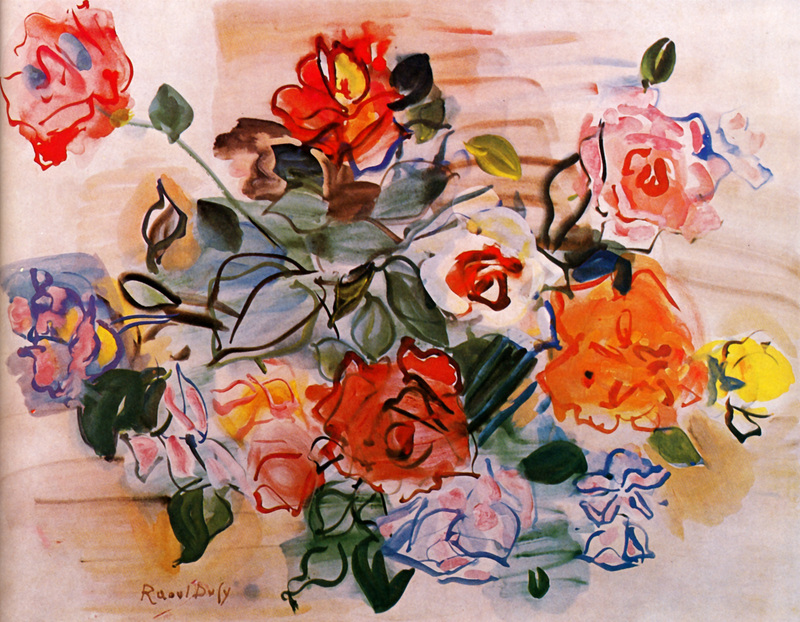 Dufy’s painting reflected this aesthetic until about 1909, when contact with the work of Paul Cézanne led him to adopt a somewhat subtler technique. It was not until 1920, however, after he had flirted briefly with yet another style, cubism, that Dufy developed his own distinctive approach. It involved skeletal structures, arranged with foreshortened perspective, and the use of thin washes of color applied quickly, in a manner that came to be known as stenographic. 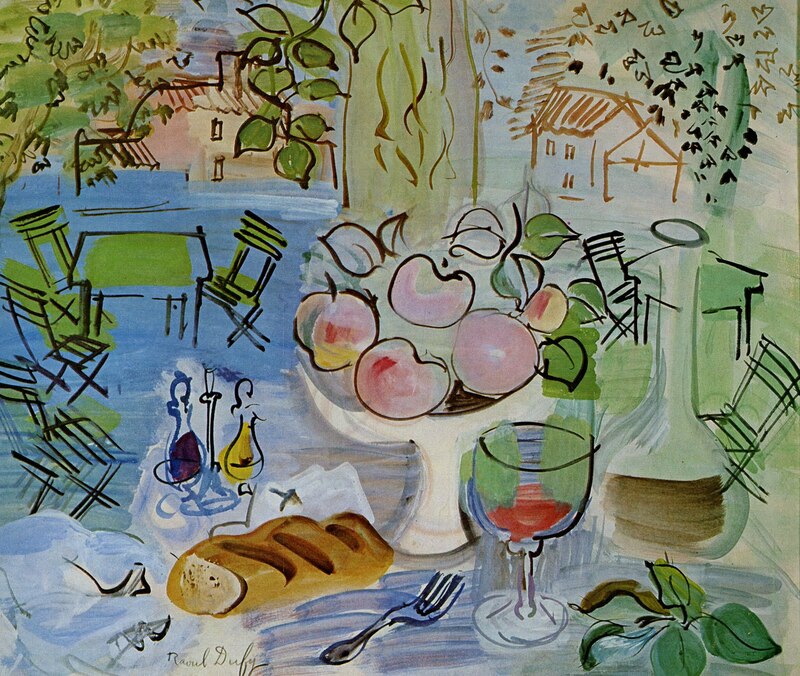 Dufy’s cheerful oils and watercolors depict events of the time period, including yachting scenes, sparkling views of the French Riviera, chic parties, and musical events. The optimistic, fashionably decorative, and illustrative nature of much of his work has meant that his output has been less highly valued critically than the works of artists who have addressed a wider range of social concerns. In 1909, Raoul Dufy was commissioned by Paul Poiret to design stationery for the house, and after 1912 designed textile patterns for Bianchini-Ferier used in Poiret’s and Charvet’s garments. 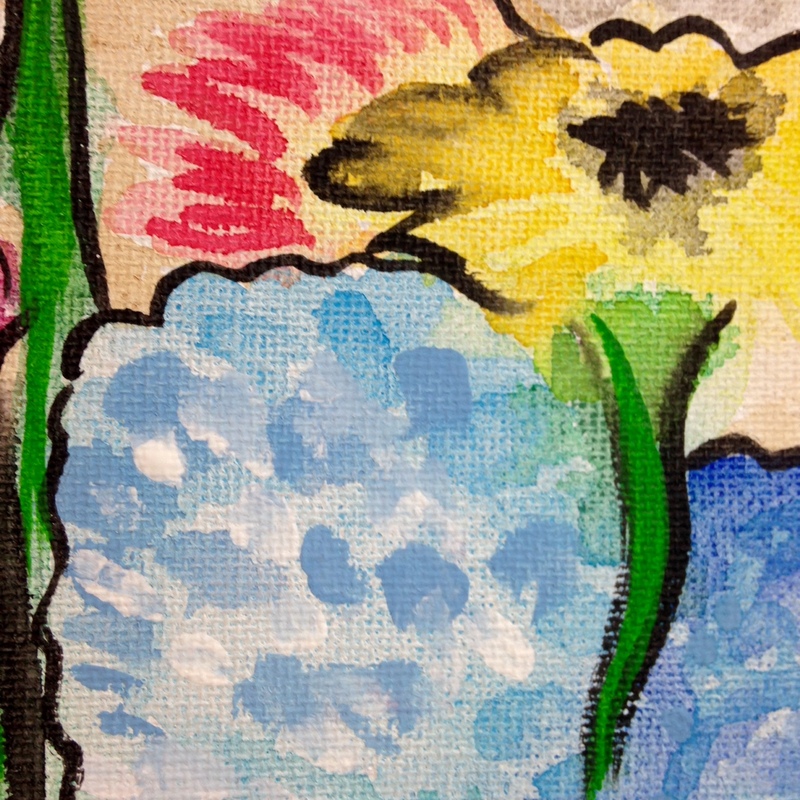 were struck with rheumatoid arthritis and his ability to paint diminished, as he has to fasten the brush to his hand. In April he went to Boston to undergo an experimental treatment with cortisone and corticotropin, based on the work of Philip S. Hench. It proved successful, and some of his next works were dedicated to the doctors and researchers in the United States. In 1952 he received the grand prize for painting in the 26th Venice Biennale. Dufy died at Forcalquier, France, on 23 March 1953, of intestinal bleeding, which is a likely result of his continuous treatment. He was buried near Matisse in the Cimiez Monastery Cemetery in Cimiez, a suburb of the city of Nice. 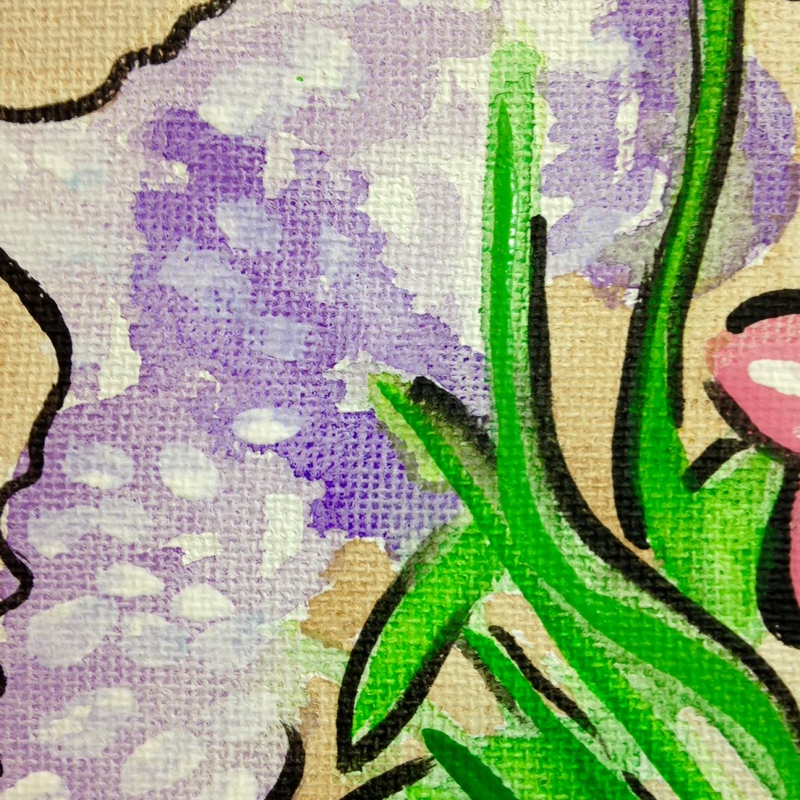 I hope you enjoy my piece for today. I will see you tomorrow on Day 320.